It’s been a little over two months since The Cottage at Firefly Lake was published. In that time, many of you have taken my story into your lives and hearts. Thank you for buying my book and asking for it in stores. Thank you for asking your local library to order it. And thank you for leaving reviews on Goodreads, Amazon or elsewhere and sharing my book with your family and friends. Thank you for contacting me on Facebook, Twitter or via email through my website. Your kind words about The Cottage at Firefly Lake have warmed my heart. Word of mouth is one of the best ways for authors to gain readers, and for a new author especially, you can play a big part in helping get the word out about not only my first book, but also those to come—Summer on Firefly Lake (published on July 25, 2017) and Back Home at Firefly Lake (now with a new release date in December this year). In whatever way you’ve already done or can do in future, thank you for being cheerleaders for my work. Over a year ago, I wrote about the transition to calling myself an author. The transition to “published author” and seeing my book “out in the wild” has been similarly life-changing. Although I’m glad I look like my author photo, it still surprises me when people I don’t know recognize me from it. It’s also surprising (but wonderful) when people ask about characters in my book as if they are real. And, not least, it’s humbling when readers tell me what my book has meant to them. Whether Firefly Lake has allowed them to “escape into another world,” given them respite from medical worries, or meant they’ve put off domestic chores to read one more chapter, each such comment makes all the hours I spend in front of my laptop worthwhile. Since becoming a published author, my working day is much the same as it was before. I still have a word count, deadlines and social media and marketing commitments. 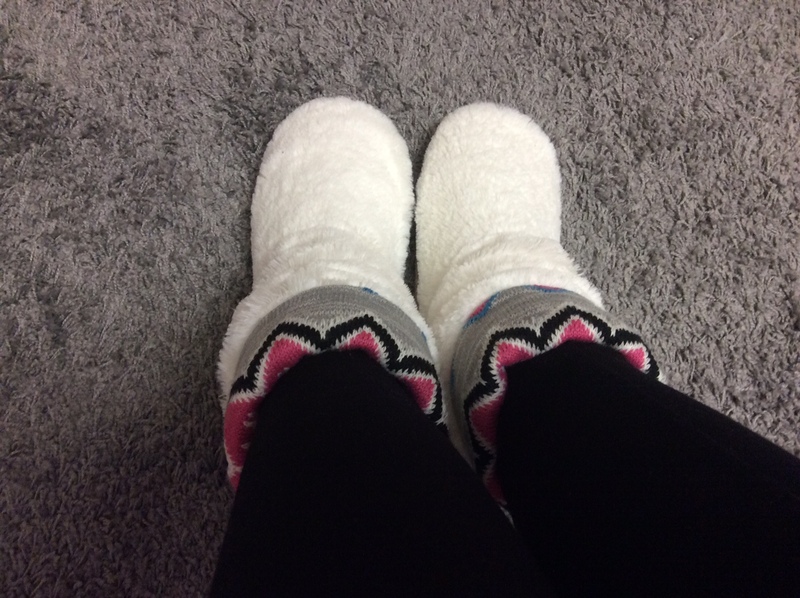 I still do my most productive work in yoga pants and slippers. And I still angst about the blank page to be filled and how to tell stories in the best way I can and grow as a writer. Yet, the axis of my world has shifted because now people beyond my agent and editor read my books and are invested in my fictional world to the extent that the characters are like friends. Despite the many other things that go along with being a published author, at the end of the day, everything begins and ends with the story and those who read it. I’m very grateful for each and every one of my readers, and I’ll never take the bond we share for granted. Many of you know that I choose a word for each year, and my word this year is kindness. 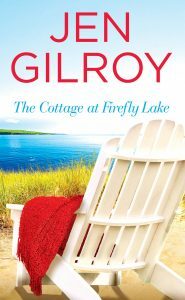 A signed paperback copy of The Cottage at Firefly Lake. 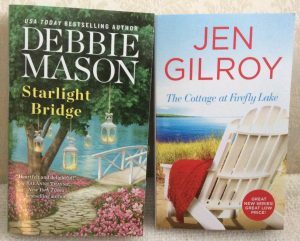 A paperback copy of Starlight Bridge, the new release by USA Today Bestselling author Debbie Mason (a second-chance romance and the second book in her Harmony Harbor series). Debbie is a wonderful author, and if you haven’t yet discovered her books you’re in for a reading treat. She’s also been very kind in sharing my book with her readers, so I want to share her book with you in return. Note for blog subscribers: If you receive my blog via email, head over to my website and comment on the post on the “Blog” page there. This giveaway is open until Wednesday, 12 April until midnight ET and I’ll choose two winners at random thereafter. I’ll mail internationally so don’t forget to tell your friends. This giveaway is now closed. Congratulations to Lally Brown, winner of a signed copy of The Cottage at Firefly Lake, and Kate Field, who has won Starlight Bridge by Debbie Mason. Happy reading to you both! Thank you for your kind words and caring, Sue. The best and most meaningful part of my writing life is connecting with readers and knowing that my stories have touched someone. So many authors have given that gift of ‘solace’ to me, and I’m humbled that in a small way THE COTTAGE AT FIREFLY LAKE is now giving that gift to others. I loved this blog, Jen you are an inspiration, you’ve given me the strength to settle down and get stuck in to formatting my kindle book for paperback … I’ve been putting it off, always finding ‘better’ ‘more important’ things to do …! Thank you, Lally. I’m glad I’ve been able to encourage you and wish you all the best with your new book. As for the slippers, I find that the ‘proper’ footwear is very important for a writer’s concentration! Happy shopping! I love escaping into the world you have created. I look forward to more. Thank you, Janice. It makes me happy that Firefly Lake is a place you enjoy escaping to. Kindness makes all the difference in this big world of ours. Whether it’s a gentle smile, an offer to hold the door for s/o, or simply a “pay it forward” act, kindness is the silver thread that enriches our days… and our lives. Thank you for reading and commenting, Heidi. I’m glad you enjoyed the post. Kindness does make ALL the difference, and the small actions you mention make our world a better place. This is a lovely post, Jen, and I agree entirely with what you say. It’s a scary moment when your book first goes out into the world, but to see from a review that someone you have never met has found some escape or a few hours of enjoyment from it is an amazing and humbling experience. I finished reading The Cottage at Firefly Lake on the drive home from holiday, and it’s easily one of my favourite books of the year so far. Sean and Charlie both resonated with me in different ways, and the setting of Firefly Lake is beautifully described. I’m so glad that there are two more books to look forward to! Thank you, Kate. I’m so happy you enjoyed “The Cottage at Firefly Lake.” Your kind words about my writing have warmed my heart. I’m also looking forward to welcoming you to my blog later this month to chat about your debut, “The Magic of Ramblings.” Your book is a wonderful read, and I’m excited about introducing it (and you) to my blog readers. When Jen told me I’d won a copy of her lovely book I couldn’t believe it … I never, ever, win anything and I was absolutely thrilled. This is a great book that I admire immensely (looking forward to your next release Jen!) and I will treasure it … as soon as it arrives (has to fly across the pond first) I’ll post a pic… thank you Jen, a very special ‘prize’ and most unexpected!